HeartFelt: Happy New Year ! So today is the day we celebrate completing another free round trip around the sun, although I can argue that it wasn't really free because I pay considerable amount of taxes to Her Majesty, The Queen for this round trip even though I hardly get to see the sun. But one thing we can all agree on that it has been a very interesting year and we have watched the events unfold sometimes with joy, happiness, amazement, pride or sometimes with disgust, sadness and anger or sometimes with a sheer puzzled look not able to assimilate the world around us. But lets leave all that aside today and let me start over again. Whilst that was the first programme I ever wrote many many years ago in a programming language that perhaps no one uses anymore, I have to say that day has been etched in my memory - sitting in a half broken chair in the college computer lab on the second computer - the joy of running the compiler and getting an actual output instead of incomprehensible exceptions is priceless and something that a Rupay card cannot buy. So today as I woke up, I could not stop thinking of the gateway scene from Bluffmaster that asks each one us a question - "Tumhe aise kitne special din yaad hai Roy". More often than not, the year ends by us making some cliched statement like "Oh this year has gone by so fast" and then we go on the crib about what we should have done. I admit that I am also one of those. But this year, I decided to end this chain, almost similar to how they want to break the chain in Final Destination. 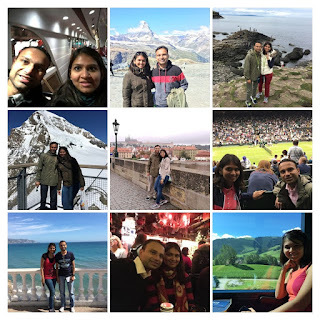 I mean, surely I must have done something worthwhile and I have decided to reflect back on the year gone by and relive those moments that have made this year so special as I pen them down. 1. 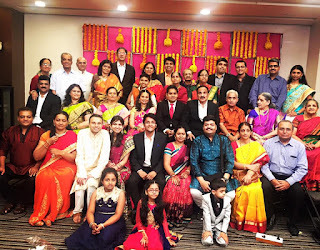 Modern Family - Weddings are always fun and after some deliberations and some rounds of the wedding being on and off, it finally took place with all the 'band' and the 'baaja' included and everyone breathed a sigh of relief. But the memorable point in the wedding was the family photo. Now my mom's family is big and an incredible amount of time and effort was put to just gather everyone. Followed by that was the usual haggling over fitting everyone in the photo frame in a civilised manner as it was important not to cover the bride and the groom although at that point everyone only cared about them being visible in the final photo. Of Course, not everyone was at the wedding and some were at the wedding but got missed in the photo. But most sadly and unfortunately not everyone from the photo is around anymore, which is what makes it special and a memorable moment of 2016. Time and tide waits for no one, so remove that frown and soak in the sun while you can! 2. Tiny feet - What an extraordinary moment to hold your niece for the first time even if its in a hotel room for just few hours before she heads back home. A picture is worth a thousand words but this quote from Winnie the Pooh says it all - “Sometimes,' said Pooh, 'the smallest things take up the most room in your heart.” May the coming year bring big smiles and cheers in small bundles. 3. Trekking up - The climb up the Snowdon mountain was a tedious. The path after the halfway house was slippery, windy and filled with thick layer of snow. We were under-prepared with a pretty worn out pair of sneakers, fairly light jacket and no goggles. There were many times we slipped and fell down, thought of quitting but then kept going and needless to say it was worth it! The view from the top was magnificent. Like someone said, its not the mountain that we conquer but ourselves. Hope that the new year brings you all the strength and courage to conquer all the challenges that life may throw at you. 4. 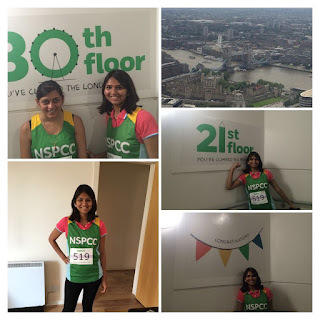 Climbing new heights, literally - Signing up for a charity event was an easy part, completing the task was difficult. 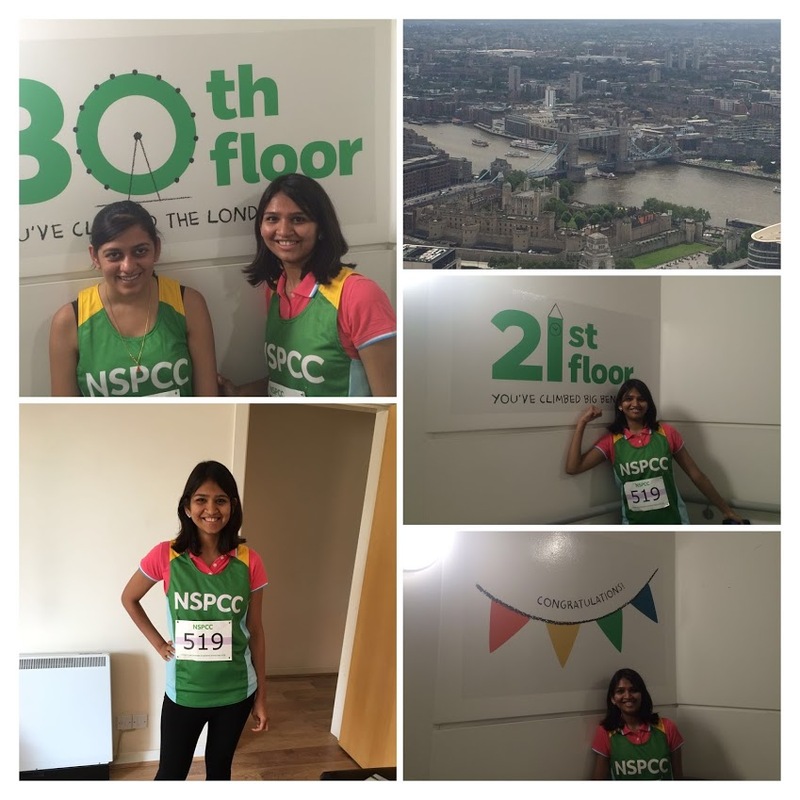 Gherkin Challenge was to climb up 39 floors of the Gherkin building for a charity organisation called NSPCC. 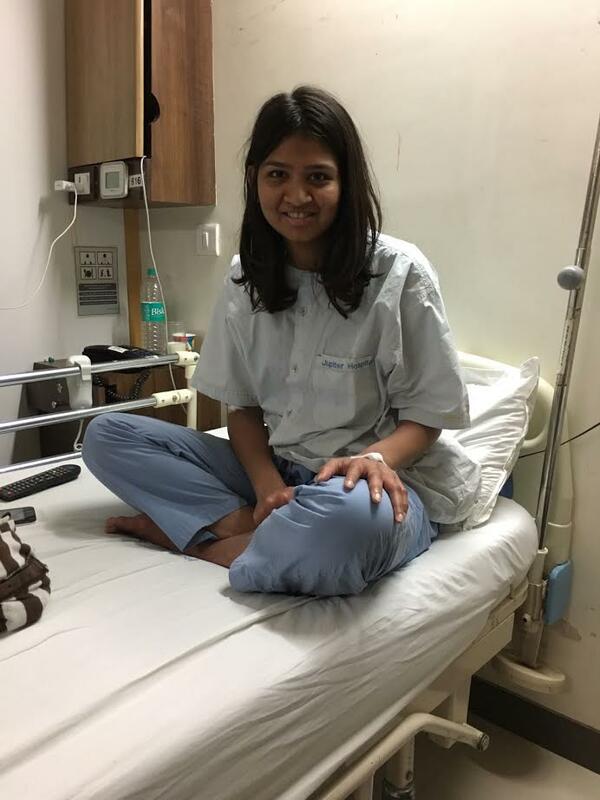 With a broken knee and some physiotherapy sessions, it seemed like an impossible task. But then you don't climb mountains without a team, you don't climb mountains without balancing the risks and rewards and you never climb a mountain on accident - it has to be intentional. With the encouragement from my friend, we climbed one stair at a time, and finally made it to the top. Climbing up without being totally fit may not be the most intelligent decision I have made, but it is definitely a moment that I will never forget. Hope that you are surrounded by amazing people that will help you reach to newer heights. 5. Precious gifts - One summer day as I returned from the office, I found a small cardboard box kept near the door. As I opened it, it was full of two dozen Alphonso mangoes from my mom delivered straight from India. 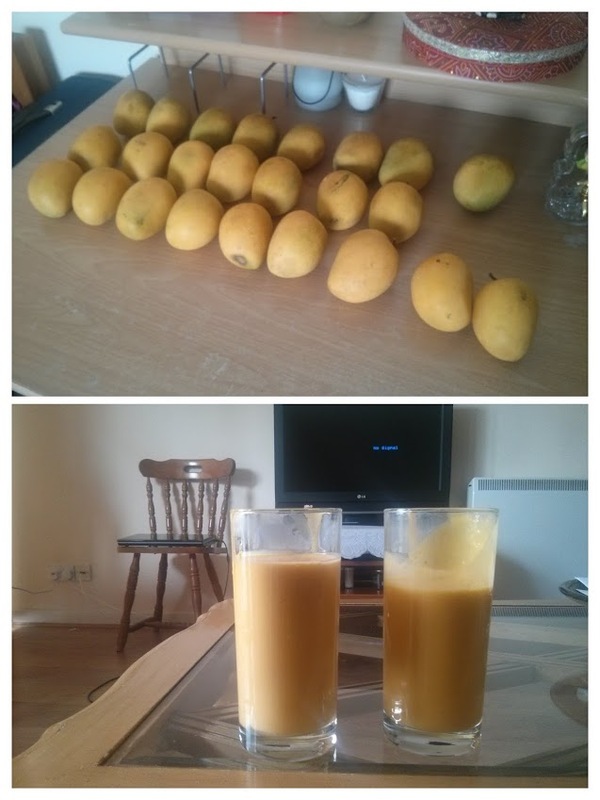 I took a deep breath and soaked the fragrance of the mangoes. It transported me to my childhood and the fun filled summer vacations, the endless games played in scorching sun followed by delicious meal of amras poli or sometimes a mango milkshake. Sometimes its not about the gift but more about the giver, sometimes not about the memories it creates, but those that it brings back to life..Hope that the new year gives you many opportunities to give such wonderful gifts to others and receive some from your loved ones.. Hope you give without remembering and receive without forgetting..
Gandalf - You'll have a tale or two to tell of your own when you come back. Bilbo : ...Can you promise that I will come back? Gandalf : No. And if you do... you will not be the same. I have had the best time with the husband travelling to amazing places, experiencing new cultures, listening to new music, eating (and sometimes not eating) different food but most importantly soaking in the experience. When was the last time we did something for the first time? Hope this new year takes you to places you have never been before.. I haven't been everywhere but its on my list..
7. Great British Bake Off - I have always loved baking, that is the only department of cooking that I actually like. But for reasons unknown to perhaps even God, I did not bake for entire year. 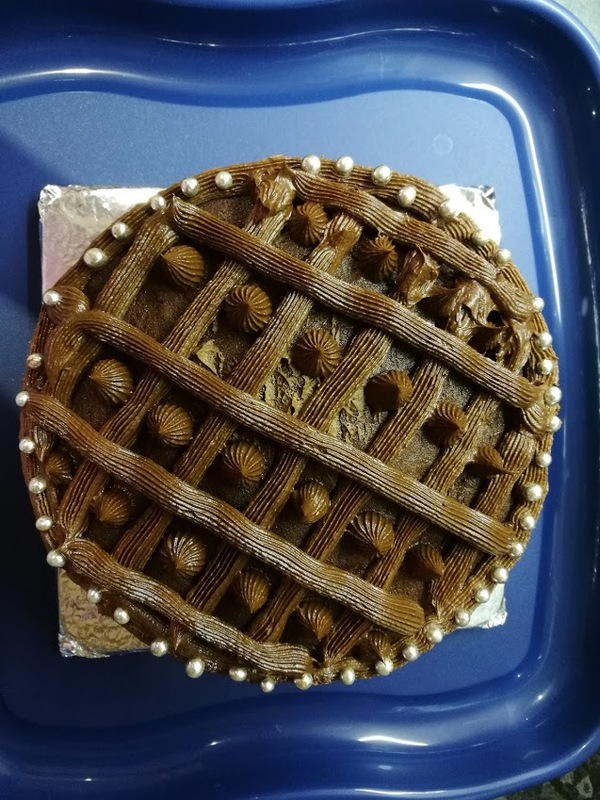 So finally when I did put my mind and heart together for a friends birthday, it was an amazing moment. In the new year, I wish for you that you pursue your hobbies to the fullest because as they say - a job will help you stay alive but your hobby may teach you why you should stay alive. 8. Miss Polly had a dolly who was Sick Sick Sick - I hate falling sick, who doesnt, even though it means taking time off from work. To cut the long story short, I ended up in the hospital for the first time in my life due to Dengue. I think hospitals make you feel sicker and I have a newfound respect for the doctors and nurses who thrive in that place everyday. Anyway, like they say 'ek machar aadmi ko...... bimaar bana deta hai'. But this short stint at the hospital made me value the other days of the year where I was hale and hearty and could easily digest a full pack of cheesy garlic bread. I am happy to be home alive and here's wishing everyone a very very healthy new year..because as they say health is.. well.. health. 9. Chal beta Selfie lele re - As amazing may be the India trips, the last day is always painful. I decided to capture the moment by taking a selfie. 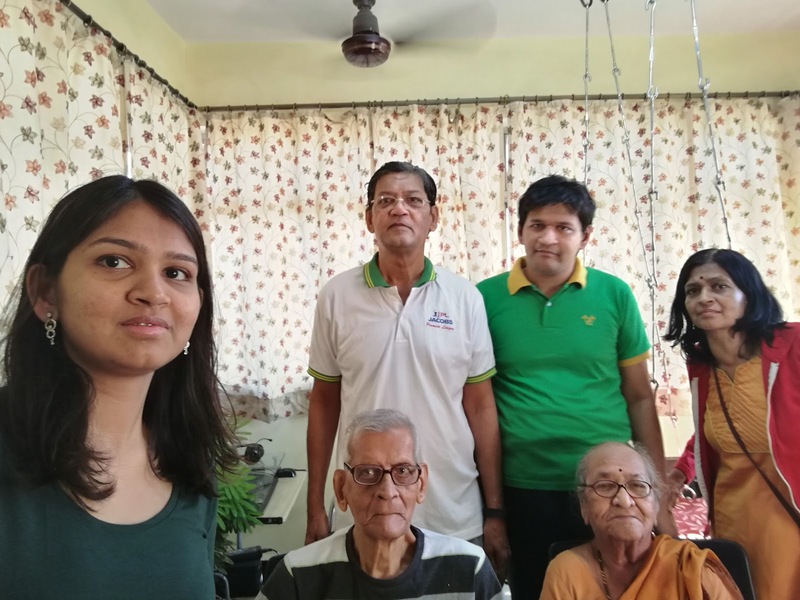 The beauty about the picture is that it's difficult say who exactly is the grand parent, the parent or the kid as there is sometimes a role reversal in the house. I have been taught many amazing things by them but then sometimes I too give them a lesson or a two and they are happy to learn - such is the circle of life. May the new year bring you the opportunity to learn and teach many amazing things..
As I started making this list, I realised that this year was not just about the things listed above. Contrary to what Seinfeld said for people above 30, I did make several new friends that I hope I will keep for a long time. I had many conversations - some funny, some serious, some pointless and some awkward but nonetheless all memorable, over the numerous coffees, lunches and dinners. This year I broke my phone, spent some days trying to fix it cheaply and then eventually bought a new one. 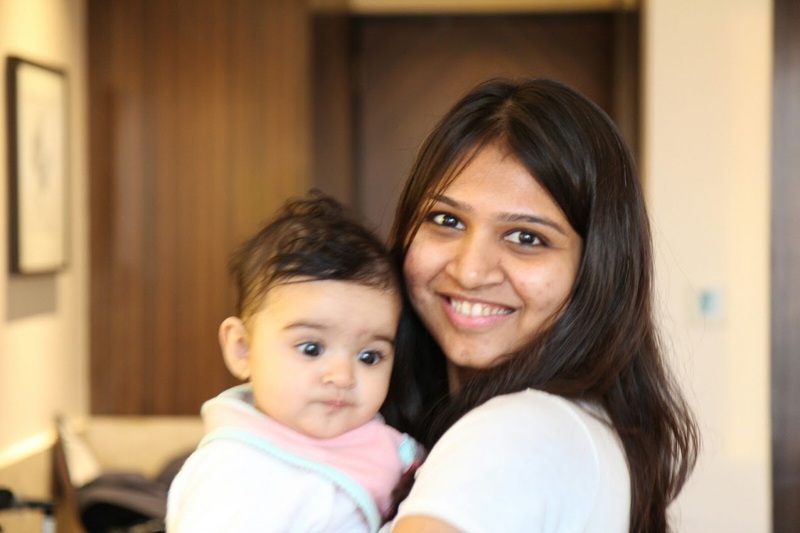 I have held a newborn baby who was barely a day old and felt the heartbeat as I hugged her. I have tried to be healthy by buying a Nutribullet only to eat grilled cheese sandwiches for lunch. I have done stupid things like stepping over a bridge of plastic crates to get into a restaurant as the entrance door was flooded with water or missing a theory driving test as I forgot the date. I have celebrated the festivals and attended some farewell parties. I have spent many Sunday afternoons lazing around watching repeat telecasts of Kofee with Karan. I have gossiped with my friends in India over phone for hours, made numerous business plans and thrashed them to bin and almost enrolled for a baking course. I have watched with awe an extraordinary musical and I have laughed my heart out at a comedy show. I have been to baby showers and I have been to house warming parties. I have fought, I have cried, I have danced and I have laughed and in all this I have felt more alive. So, in short I haven't been that useless this year. I am grateful for things I could achieve and also for the ones that I didn't, for I have something to look forward to the New year! New year will be bring new challenges but it is not just about coping with them but the point is to thrive. Hope you, me and everyone arounds us have a wonderful year ahead !